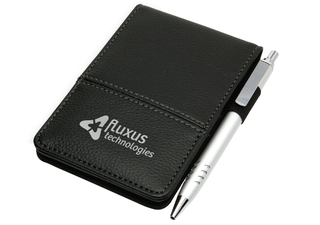 Add your logo to this soft grain finish jotter to create the ideal promotional product. Features include large print area, card pockets, pen loop and 2 writing pads. Product size is 130mm x 90mm wide with 60 pages per pad (2 pads supplied). Pen not included.